Narwhals and unicorns are two animal species known for the distinct horn on top of their head. However, what some people may not know, is that if oil exploration continues down its current path, they may share another feature in common – not existing on planet Earth. 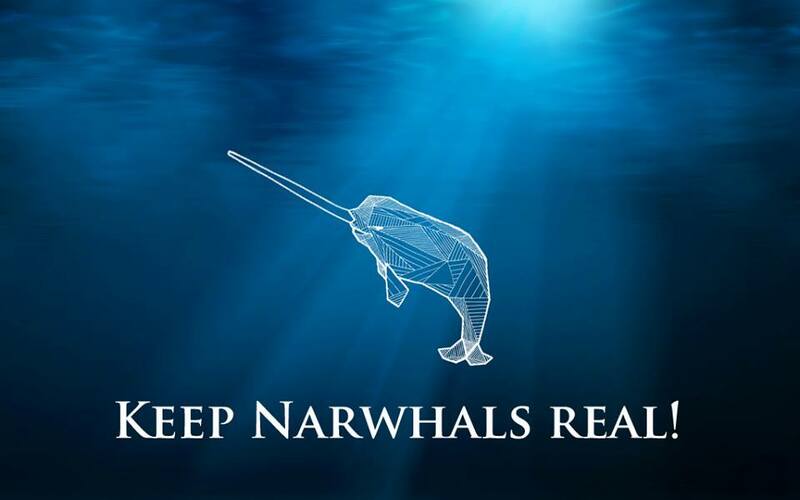 Ian Rowan refuses to let that happen, and has launched the Keep Narwhals Real campaign in response. Eighty to ninety percent of the world’s narwhals live in Baffin Bay, which has become the target of seismic mapping. This exploration technique uses loud underwater cannons that fire every few seconds at about 240 decibels in order to locate underground oil and gas reserves. This extreme noise is not just disruptive to narwhals, whales, seals, and fish, but can change the migratory patterns of narwhals, or worse, can severely harm and even kill them. If these developments are not halted, the human species may have to say goodbye to its narwhal neighbours. Ian wishes to emphasize the efforts of Clyde River mayor Jerry Natanine, who has launched an appeal against the Canadian National Energy Board’s oil and gas exploration. Natanine, along with the Clyde River Solidarity Network have insisted that CNEB should consult with the Inuit communities in the area who live interdependently with the narwhals. The actions of the Canadian government and oil and gas companies are not only harmful to the narwhals themselves, but also to Northern communities and the environment. Tags: Baffin Bay, Documentary, Ian Rowan, Keep Narwhals Real, narwhals, Oceans. Bookmark the permalink.